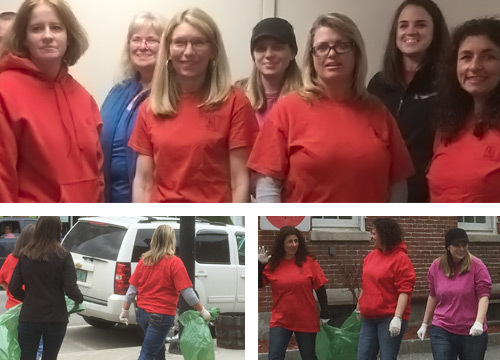 Every spring you will find Vermont Mutual employees, green garbage bags in tow, on the streets of Montpelier, Vermont doing their part to green up Vermont! Did you know that Vermont was the first state to designate a day to clean up the entire state? Vermont Gov. Deane C. Davis started the tradition in 1970. When is Green Up Day? Green Up Day is the first Saturday in May. When was the first Green Up Day? The first Green Up Day was April 18, 1970. It was started by Governor Deane C. Davis. In 1979, Green Up became a non-profit organization. How do the Green Up bags make their way out to the roadsides? With the help of Vtrans, the bags are distributed to the nine district garages and then out to the towns for distribution in mid-April.